A funny nod to Clement C. Moore's classic Christmas poem, our Stirring Mouse Ornament features a cute little squeaker perched upon a copy of 'Twas the Night Before Christmas. The sweet mouse, bundled up in a Santa hat and striped scarf, mixes up a marshmallowy cup of hot cocoa with a candy cane stick. 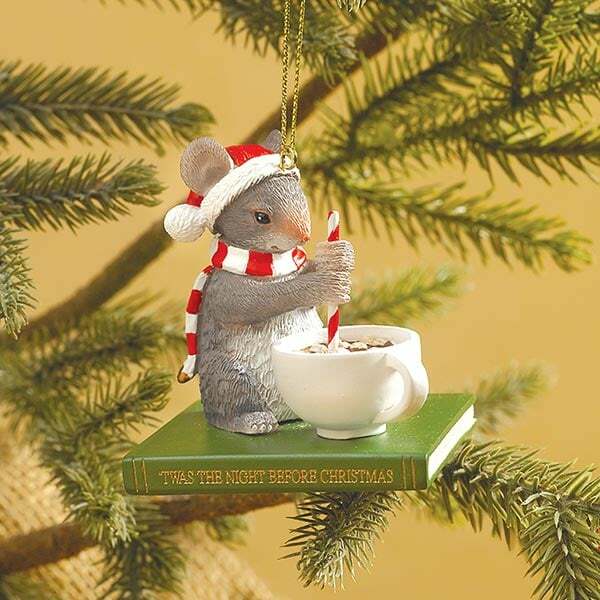 Hang this 2¾"-tall ornament on your tree and stir up your own warm holiday cheer!